What Can the Government ‘Shutdown’ Teach the Appraisal Industry? 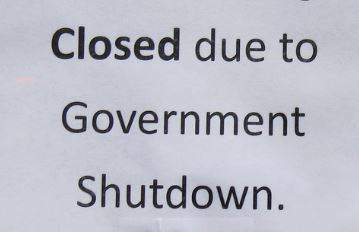 First of all, let’s be clear… it was not really a complete ‘shutdown.’ A large majority of federal workers were still at work, but for those who were furloughed, it was uncomfortable and scary for sure. Though the can has officially been kicked down the road for a few more months, we will face another ‘crisis’ soon enough. So, what can this debate teach us about appraising? It turns out… quite a bit. Why did Congress and the President choose to delay the real problem with our national debt and budget—yet again—rather than just deal with the problem? Why was it easier to pass a continuing resolution rather than a budget? The answer is simple… motivation. Human beings are moved through either pain or pleasure (Tony Robbins taught me that). We act when the situation is either too painful to endure or we want something enough to counter the effort to move. The fact is, most of our elected officials are not yet motivated by the pain inflicted upon our country (and future generations) with the mounting debt or these recurring government shut-downs. Their motivation is re-election. Pure and simple. They choose to keep the government ‘open’ for a few more months, then postpone again, then again, rather than deal with the tough-love that would come with actually fixing the problem. Their motivation is to keep their constituents comfortable . . . and voting. Though the situation we are dealing with as appraisers is much different, there is at least one, big similarity-that of motivation. Currently, we have a huge exodus of appraisers from the industry. They feel jilted by the new regulations and their way of life has been disrupted. Furthermore, there are very few new appraisers coming into the industry to take their place. Why? Motivation. As an appraiser, I am a huge advocate of training new blood. I think it gives someone a hand up, allows me to pass on my knowledge and training to someone else, and makes me a better appraiser (you never really learn something till you teach it to others). However, there is very little financial incentive to training a new appraiser right now. It takes many, many months to teach a trainee how to pull comps, make adjustments, and reconcile without micro-managing everything they do. It takes far less time to train a newbie how to inspect and gather all of the information needed at the site to develop a credible appraisal report. However, most AMCs and clients will not allow a trainee to inspect (and some do not allow them to work on the report at all). Why should I go through the hassle of finding, hiring, and training a new appraiser in my firm if there is little to no financial incentive to do so? What is my motivation? Many are running around wondering what it will take to save the appraisal industry. Because human nature is what it is, there are only two ways to do so; make it painful to not hire a trainee or—better yet—incentivize the hiring of new appraisers by financially motivating them to do so. Lift the regulations and rules which restrict the use of trainees in the appraisal development and reporting process. Then, those of us who still remain, would be motivated again to hire and train new appraisers. The one thing that appraisers should take away from this is that YOU HAVE THE POWER TO SHUT DOWN AMCS. You’ve always had the power to shut them down but you’ve all been too much of a wuss to organize. Anyone who believes that a 1 week national boycott against AMCs would make national news needs to have their head examined. “But…but…but…that would require work on my part and I would have to go without a weeks pay”. No ship Sherlock. How’s that 30% to 50% annual pay cut working out for you? Appraisers will grow the billiards to boycott AMCs when L freezes over. Anyone who believes that a 1 week boycott against AMCs WOULDN’T make national news needs to have their head examined. Previous story AMC License Bonds. Are They Working? AMC AMC License Bonds. Are They Working?